VMware has rolled out a Cloud Provider Hub and Cloud Provider Pod in an effort to help partners tackle multi-cloud opportunities and expand services irrespective of whether they leverage VMware-based clouds. Specifically, the Hub provides a centralised portal for partners to purchase, provision, and manage VMware Cloud infrastructure and operation service offerings for multi-cloud. Partners can also expand VMware cloud infrastructure footprint with VMware Cloud on AWS and offer multi-cloud operations through VMware Cloud Services. The Hub will deliver two key areas of capabilities, spanning end-to-end customer lifecycle management for VMware XaaS offerings, metering and billing, as well as offering the channel ownership of the terms of services and the direct customer relationship. In addition, the second aspect involves managed services expansion, which is an ‘asset light’ model for partners to integrate VMware offerings into their own managed services portfolio. Meanwhile, the new Pod enables partners to stand up a VMware-based software-defined, multi-tenant data centre based on their own cloud design and validated by VMware. According to Jay Workman - senior director of cloud provider program at VMware - the launch offers a faster time to market for partners, alongside the benefits of lower costs and increased margins. Furthermore, the Pod automates the design and deployment of a "fully tested and validated" VMware stack including VMware vSphere, vSAN, NSX, vCloud Director, along with complete operations, visibility, cloud management, metering and chargeback - providing partners adhere to VMware validated design guidelines. For partners already running a VMware environment, the Pod, vCloud Director 9.5, vCloud Availability for Cloud-to-Cloud DR, and vCloud Usage Insight will enable cloud standardisation with single-click automated deployment, simplified management, and reporting. Such offerings are designed to enable VMware partners to quickly differentiate and monetise VMware-based clouds. "It provides ruthless efficiency in standing up and automating a VMware-based cloud, and then augmenting that with Cloud Hub, which is how partners can take VMware services and roll them up into a platform that they can then offer to the customer. In each case, the partner owns the customer," added Ajay Patel, general manager of cloud provider software business unit at VMware. 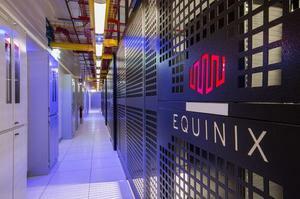 "Our sole charter looks at how we can enable partners to capitalise on cloud opportunities." On the Pod, partners can speed up their path to becoming VMware Cloud Verified, which currently counts 16 providers offering compatible services from more than 80 data center locations. 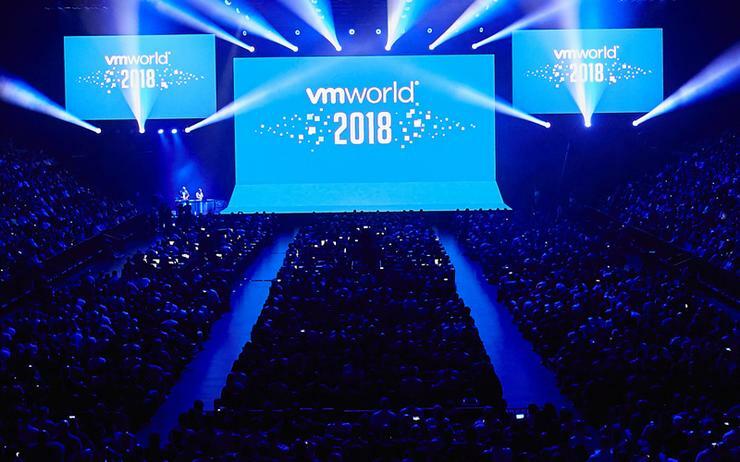 Beyond targeting existing VMware partners, Patel said the vendor also looking to recruit managed service providers, system integrators and born-in the cloud integrators which are emerging or require VMware tools. Patel said from VMWare's current base 4,200 providers, the vendor has "deep insight" into what works and what doesn't. “One thing that we’ve learnt about the service provider model, is they need a bit more flexibility, and the Hub gives them a range of choices and we’re trying to make it more configuration driven," he explained. Patel’s business unit is about two and a half years old, created after VMware sold its vCloud Air to OVH. In Australia, vCloud Air’s business, which was hosted by Telstra, will be wound down with customers scattering elsewhere. "In the past two years, we’ve doubled down on our investment and focus," Patel said. "After two years of iterating, we’re at the point of now delivering a more engineered solution. "Our basic is view is that partners are looking at being the single stop shop for helping customers on the cloud journey, both for VMware workloads and non-VMware workloads." VMware has also enhanced its Cloud Provider Platform with VMware vCloud Director 9.5; vCloud availability for Cloud-to-Cloud disaster recovery; vCloud usage insight service and Hybrid Cloud Extension. Regarding feedback from partners, Dan McLean - senior director of cloud services A/NZ at VMware - said this effectively lowered the partner’s cost of entry to build their own cloud, because they don’t have to do the engineering work or figure out which products to support. Cloud Provider Pod, vCloud Director 9.5, vCloud Usage Insight and vCloud Availability Cloud-to-Cloud DR are expected to be generally available in the third quarter of FY19, with the Cloud Provider Hub being generally available in the fourth quarter of FY19.